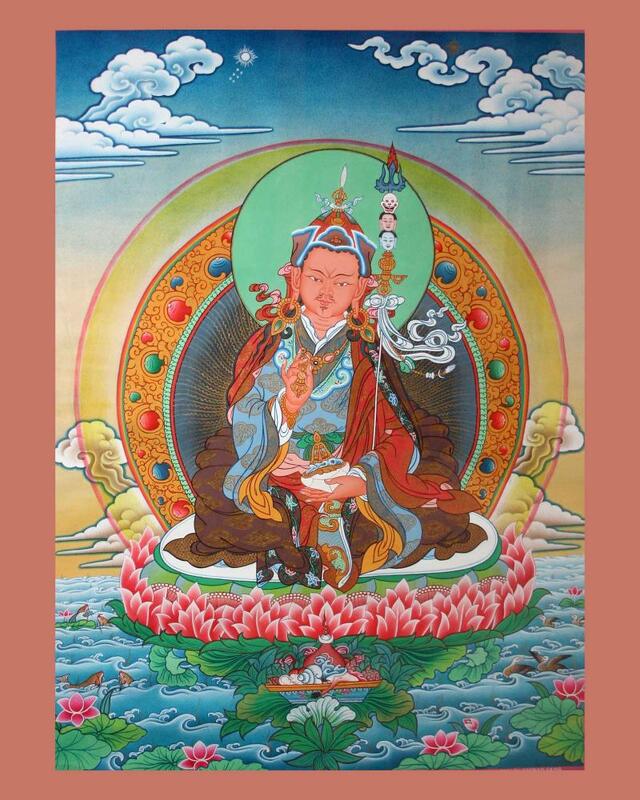 Lalman Lama is a Master of Sacred Thanka (Scroll) Painting. 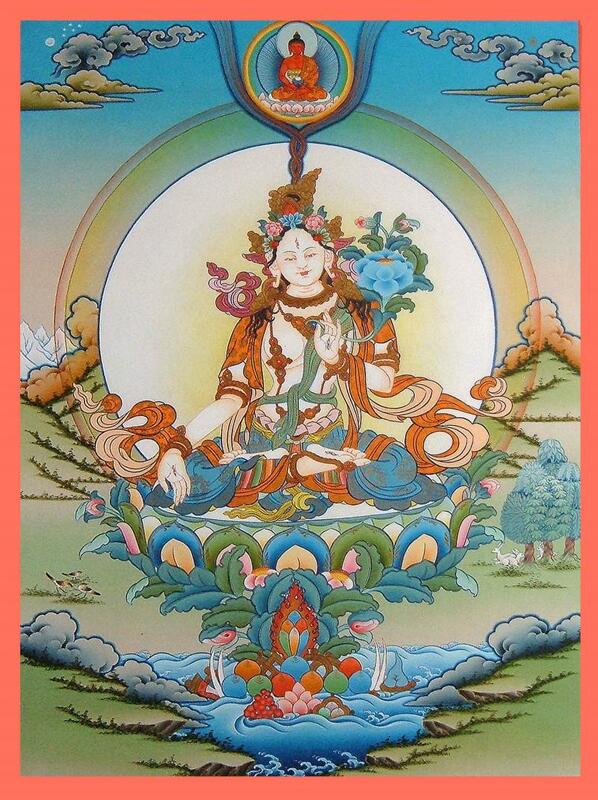 These are traditional art works that are used as tools for meditation and healing. Lalman Tamang was born into the Tamang community in village of Tamang, region of Ramechhap but later on he moved to Kathmandu City. He was taught by his grandfather at the age of 10 in the tradition and form of Thanka painting. At 13 he was considered a master. He was discovered as he brought some of his paintings to a local Monostary and showed them to a couple of the monks onsight. The immediately recognized his tallent and paid him twice what he was asking in order to recognize his extreme ability. Laman uses pure stone pigments made fomr ground minerals. The process of painting for him is a meditational prayer. Each part of the process is done by hand, form the making of the brushes to the making of the gold leaf. He does this all with prayer. Each painting of the deities has a personality all of its own and they are designed to touch the human heart with peace and compassion. 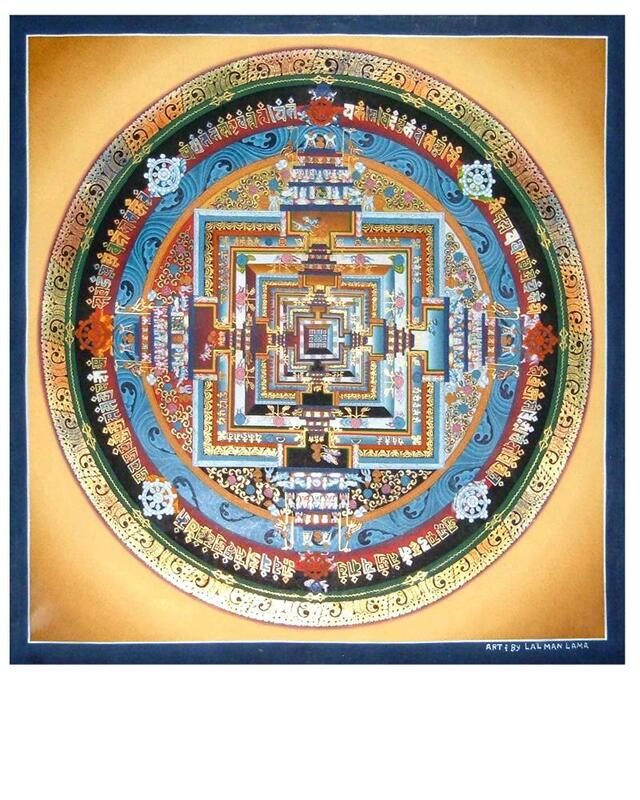 All paintings represent a complex system of symbols that represent the qualities of the Tibetan Buddhist practice.